Stuck in a mid-life crisis or going through the loneliness of bachelor age. Don't worry!! Funny Jaspreet Singh has a joke for your every phase. Comedy Munch along with Dramebaaz Cafe is ready to cater you a spicy plate of fresh jokes. This time we are coming with very funny Jaspreet Singh who almost has done a Ph.D. on bachelor's life. 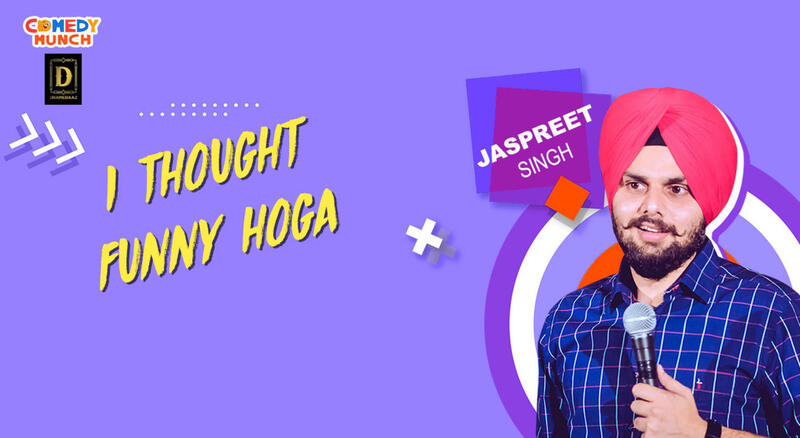 Wanna taste these jokes called ' I thought funny Hoga' by Jaspreet Singh so that you don't feel sad for your own life, come to the show happening on 29 April, Dramebaaz Cafe.